This review is about item#06947787. No problem. This is cheaper than buying at a hardware store for a bit. Anyway, I will definitely get it. This review is about item#06947857. 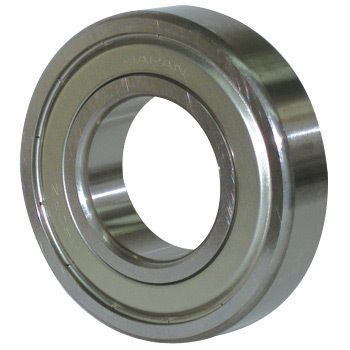 Nevertheless it was the same manufacturer as the bearing that we had until now. All the seals and packing were weathered, but only the bearings were fine. I hear that the NACHI bearing is good, but it may be exactly right. However, the small variation is defective in the ball. This review is about item#06947814. As expected it is less NACHI 's bearings and less reduction than other ones. I'm thinking of asking again next time. This review is about item#06947805. Range hood VT - 60 motor bearing Removal of replacement motor and soldering of wiring etc. It took quite a while time. I could use it normally. There is no monotaro brand at all. It is about 1/10 of the life span of domestic production, but this is very good! This review is about item#06947796. There is no problem after replacement, how about displaying it as a guide such as bearing life etc.? Currently it is used without problems. This review is about item#06947823. This review is about item#06947884. Because it is a thing of a Japanese manufacturer, it can be used with confidence. I think that it is considerably cheaper than the market price. Although it was also good for contact seal, I used an oil seal, so I tried ZZ as a trial because the price was cheap. At the moment there is no problem at all. This review is about item#06947832.